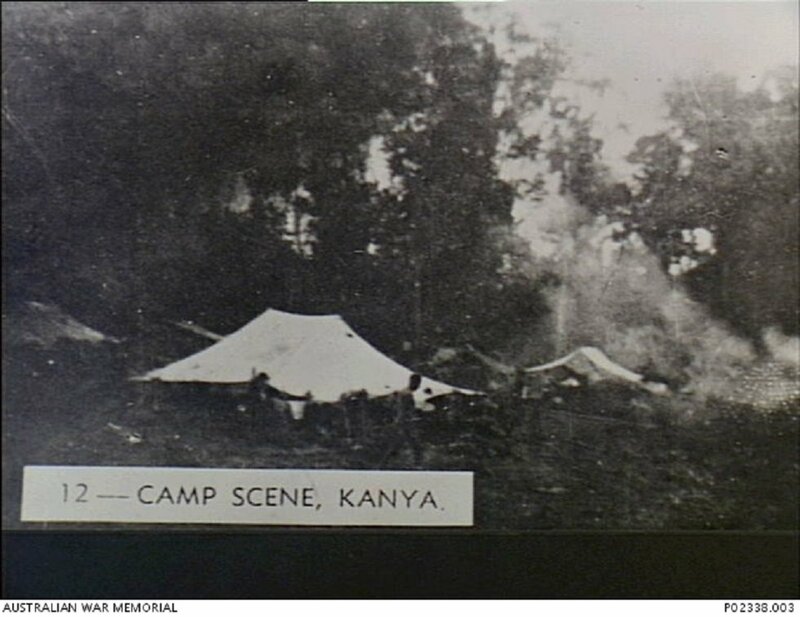 Tents pitched among tall forest trees at the Konyu 2 POW Camp (later known as Malayan Hamlet) on the Burma-Siam Railway where H Force POWs were imprisoned. Smoke from a campfire drifts over the camp on the right. This photograph is number 12 in a series marketed by the Far East Picture Company and originated from material used in the Rabaul War Crimes Trials, taken July 1943. Image donated by H. Clarke, courtesy of James Bunning, Australian War Memorial. 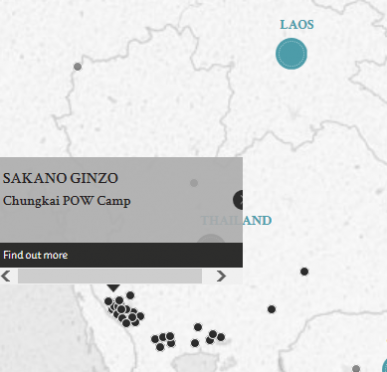 The accused, a member of staff of Chungkai POW Camp, was involved in ill-treating British POWs working on the Burma-Siam railway. In particular, he admitted to taking part in the beating of two POWs who had to be hospitalised for some time as a result, and to beating eight POWs with a belt. In general, the accused was found to have engaged in brutal treatment of POWs interned in the camp, including through the under-issuing of rations to the already semi-starved POWs. The accused was nicknamed the "White Slug" and "Fish face" because 'sakana' means fish in Japanese. The accused's supervisor, a witness for the defence who had himself been sentenced to death by hanging, had his hanging postponed so he could testify at this trial. Sakano, Ginzo. Sergeant. From Japanese military. From Japan. Guilty. 5 years' imprisonment. Sentence confirmed. Le Gallais, R.L. Lieutenant Colonel. From British military. Court president. Barrister-at-law. Sinclair, D.F.H. Major. From British military. Smith, S.J. Major. From British military. Hitoshi, Ito. Prosecutor in Keiju District Court.